When is the last time you had your chimney inspected? Fireplaces can add extra heat in the winter, but if they’re not properly maintained, they can also become a hazard. The purpose of a chimney is to carry hazardous gases and smoke out of your home. 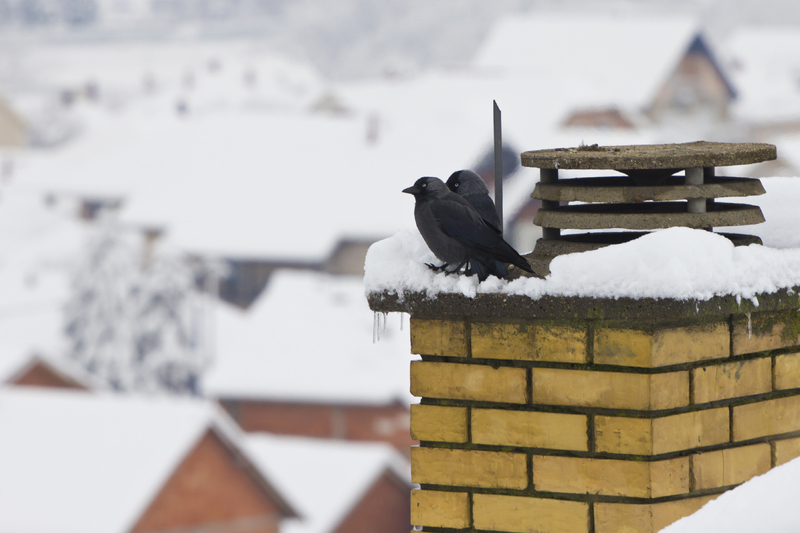 If chimneys are not cleaned regularly, residue called creosote can build up inside your chimney and catch fire. When you clean your chimney and have it inspected periodically, you help ensure there is a clear pathway for gasses and heat to escape. Have your chimney inspected and cleaned at least once a year by a chimney professional. A chimney professional will make sure your chimney is structurally sound and will remove creosote buildup and any other debris (such as animal nests). Only burn dried-out wood – cardboard, trash, or other objects can burn very quickly and the flames can get out of control. Keep your fireplace doors opened or cracked when burning a fire, as restricted air supply can cause creosote buildup. Stay on the lookout for signs of chimney fires. Indications of chimney fires include dense smoke and a loud rumbling noise (often compared to a freight train). If you think you have a chimney fire, get everyone safely out of your home and call the fire department immediately. It is important to note that some chimney fires are slow-burning and may not make loud noises or have lots of smoke. These can cause damage to your home as well and weaken the structure of your chimney. Chimney fires often lead to house fires. It’s important to follow safe fire-burning practices and keep regular maintenance on your chimney.